Your location: Virginia Not correct? Discount Cards can also be ordered by phone at 503.246.7735, extension "0". Orders are mailed within 24 hours of receipt, Monday through Friday. Discount Cards are mailed via USPS. 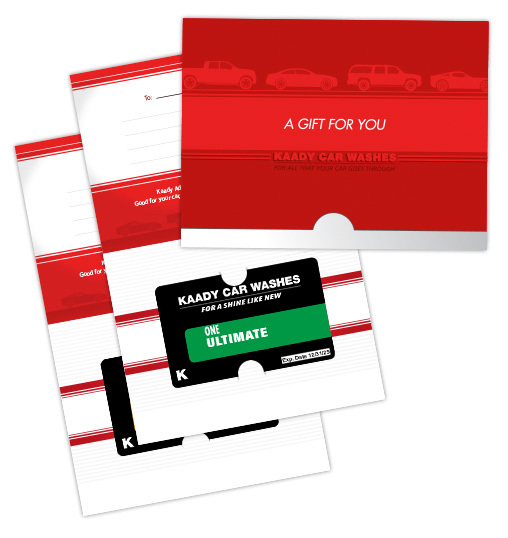 Kaady Car Washes does not sell or distribute any customer information received from this site. *Kaady Premium Wash includes Kaady Advanced Wash, Paint Guard, Wheel Guard, Liquid Polish and Underbody Rinse. By request, we'll send these attractive card holders, ready for you to personalize - at no extra charge with your order.